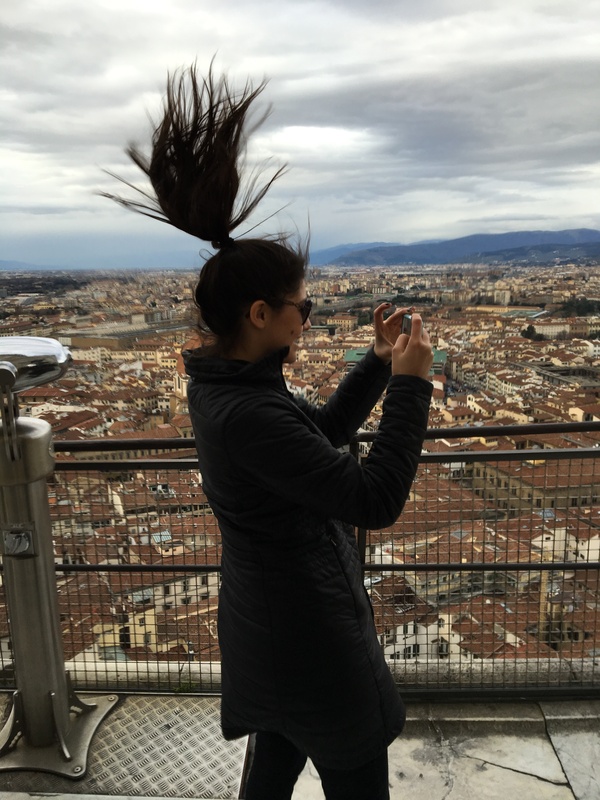 Whether your studying in Florence or just visiting, climbing the Duomo is a must-do. This weekend, I trekked up 463 steps to the top of this monument. There were many times where I felt I needed to turn around due to my fear of small spaces, however it was well worth the discomfort. When I finally reached the top, I was speechless by the stunning scenery. But aside from the beautiful views, I experienced the strong gusts of wind 114 meters up. Anything for a picture though, right? !